With few exceptions, section 440.11, Florida Statutes grants immunity from tort liability to employers and the co-employees of Florida workers injured in the course and scope of their employment. In most cases, the doctrine precludes relief outside of the workers’ compensation system. Florida’s dangerous instrumentality doctrine is a common law doctrine which provides that the owner of an inherently dangerous tool is liable for any injuries caused by that tool’s operation. The Florida Supreme Court in Southern Cotton Oil Co. v. Anderson, 80 Fla. 441, 469 (Fla. 1920), extended the doctrine to motor vehicles, holding that owners may be held accountable for any damages suffered by third parties as the result of the negligent operation of their vehicles, when they are driven by others with their knowledge and consent. This doctrine imposes strict vicarious liability upon the owner of a motor vehicle who voluntarily entrusts that motor vehicle to an individual whose negligent operation causes damage to another. (Other examples of dangerous instruments include: Newton v. Caterpillar Financial Services (multi-terrain loader); (Rippy v. Shepard) (farm tractor); (Harding v. Allen-Laux, Inc.) (forklift); (Halifax Paving, Inc. v. Scott & Jobalia Const. Co.) (crane); Meister v. Fisher, 462 So.2d 1071 (Fla. 1984) (golf cart); Sherrill v. Corbett Cranes Services, 656 So.2d 181 (Fla. 5th DCA 1995) (crane); Lewis v. Sims Crane Service Inc., 498 So.2d 573 (Fla. 3d DCA 1986) (construction hoist); Eagle Stevedores, Inc. v. Thomas, 145 So.2d 551 (Fla. 3d DCA 1962) (tow-motor). It is not uncommon for employers to use such dangerous instrumentalities in the workplace that are owned by others. This raises the question of whether the owner of a dangerous instrumentality shares the same immunity as employers and co-employees. In Smith v. Ryder Truck Rentals, Inc., 182 So.2d 422 (Fla. 1966), workers’ compensation immunity was extended to Ryder, the owner of two motorcycles involved in a crash that were leased to the employer. The Florida Supreme Court declared that the motorcycles in effect had become working tools of the employer, much like a fellow employee. Smith was subsequently relied on by the Supreme Court in Halifax Paving, Inc. v. Scott & Jobalia Const. Co., 565 So. 2d 1346 (Fla., 1990), to extend immunity to the owner of a crane who merely loaned the equipment to the employer as a matter of courtesy. The crane in this case does not fall within the dangerous instrumentality doctrine because the crane was in use for construction, did not pose a sufficient danger to the public, was generally fenced and not exposed to the general public, and was not used as a motor vehicle or commonly found on the highways at the time of the accident. If the dangerous instrumentality doctrine does not apply, the instrument owner does not need workers’ compensation immunity to avoid tort liability under the doctrine. 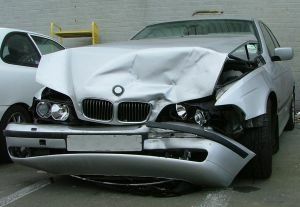 However, the owner may still be liable for negligence. These issues recently came to my attention as the result of a conversation with a fellow lawyer who called me to discuss co-employee immunity. He represents a person who was severely injured in a motor vehicle crash caused by a co-worker, and was wondering if the co-worker driver could be sued for tort liability. I directed him to section 440.11, Florida Statutes. He confirmed the statute’s application by finding the case of Abraham v. Dzafic, 666 So.2d 232 (Fla. 2nd DCA 1995), but then emailed shortly thereafter believing he had found a way around the immunity since the motor vehicle was owned by someone other than the negligent driver. This prompted me to research further and write this blog. However, since I don’t know the particulars of my friend’s case and haven’t researched the issue exhaustively, I cannot say whether or not the Smith doctrine applies. If, for example, the vehicle was for personal use rather than business use, and just happened to be loaned on that particular occasion to the operator to cover a situation, workers’ compensation immunity may not apply. Contact us at 305-758-4900 or by email to learn your legal rights.